Home Archive by category "More Than Kitchens"
It’s a perfect combination of design elements: stained cherry cabinet with a black glaze, reed glass, and a white Carrara marble top. 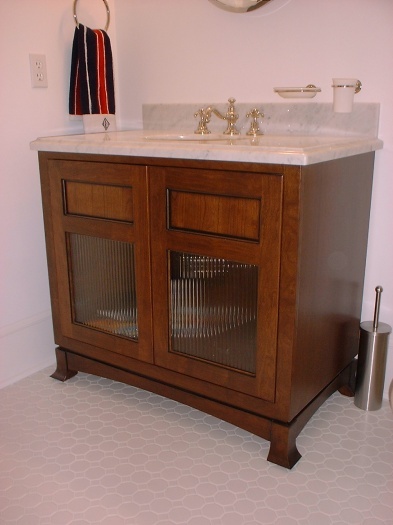 It all comes together to make this a beautiful one-of-a kind furniture style vanity that is both modern and elegant, while also retaining the classic styling cues you adore. 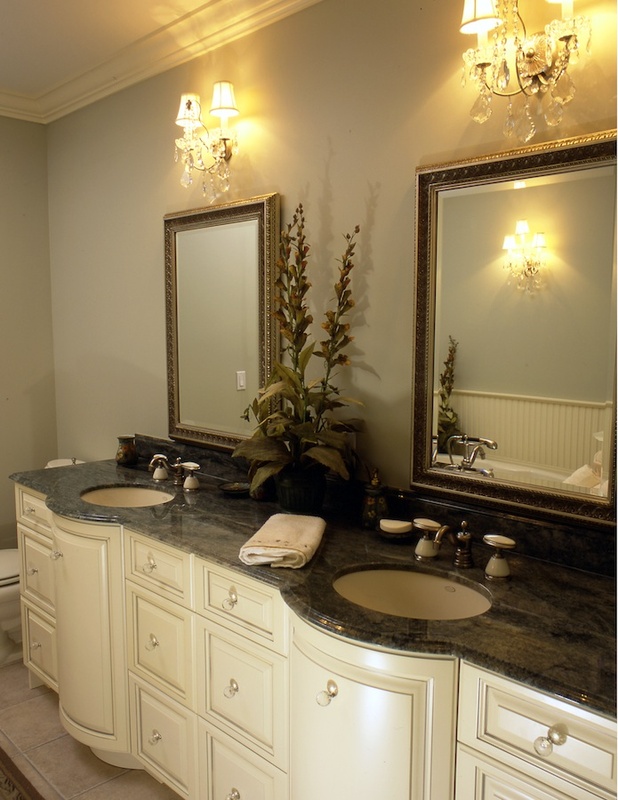 It’s often easy to think cabinetry just belongs in the kitchen or bath, but with right design, it can add a beautiful touch to any room. 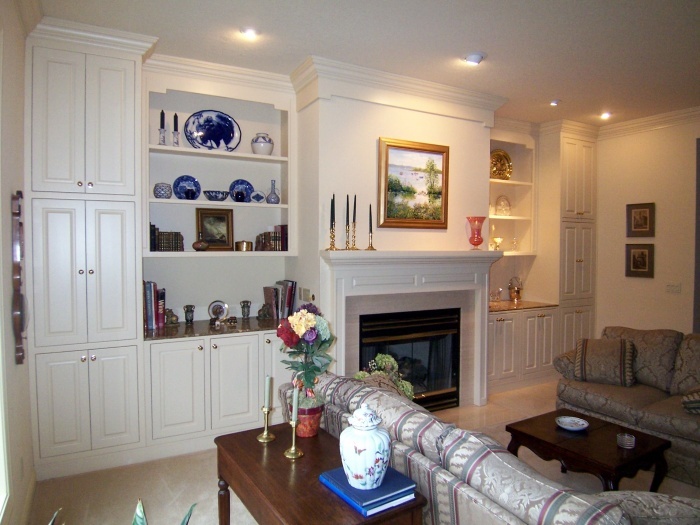 These bisque colored framed inset cabinets and marble tops make a statement of soft luxury that really sets off this family room. 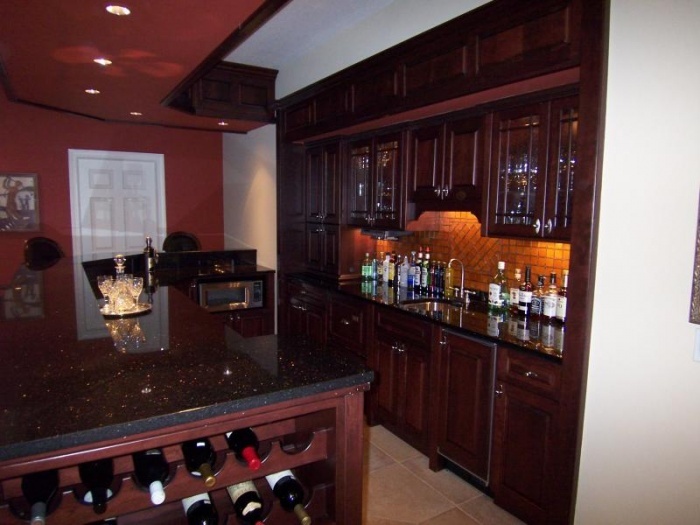 Bordeaux colored cherry cabinets with black galaxy granite countertops give this cherry wet bar a beautiful elegant feel. 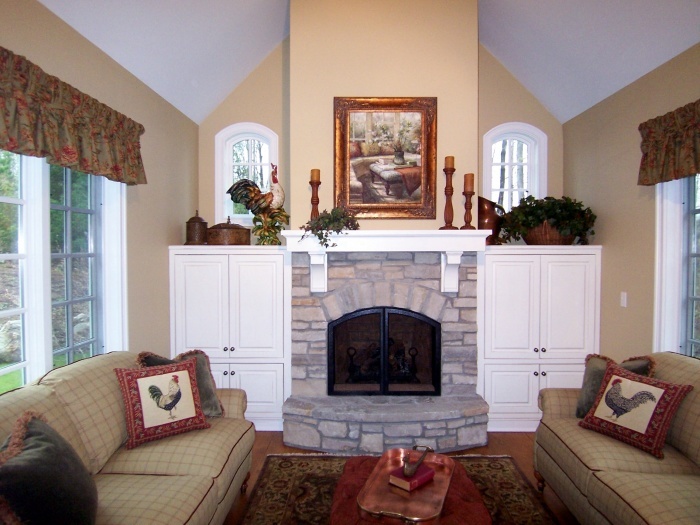 These beautiful rubbed white custom built in cabinets feature pocket doors to hide the living room television. 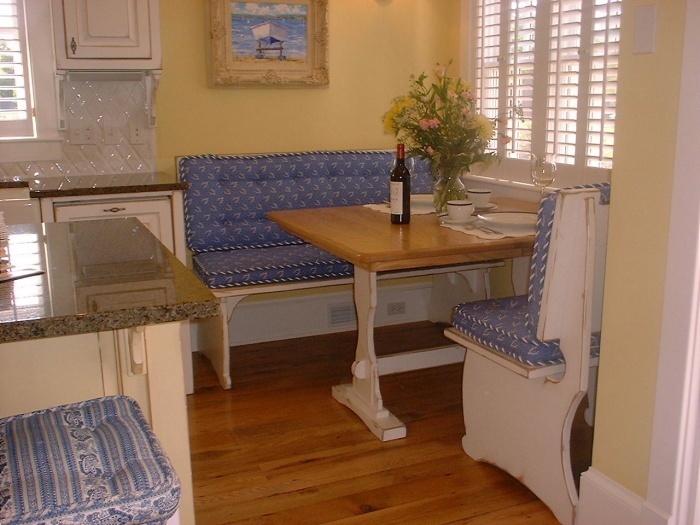 Custom kitchen table and benches in white with a heavy rub. The table top is done in oak to match the floor. 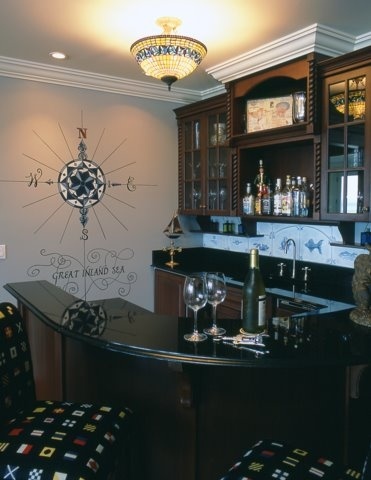 The elegant look of dark red stained cherry mixed with a nautical theme makes an interesting combination for this home wet bar. Elegant and yet so functional! 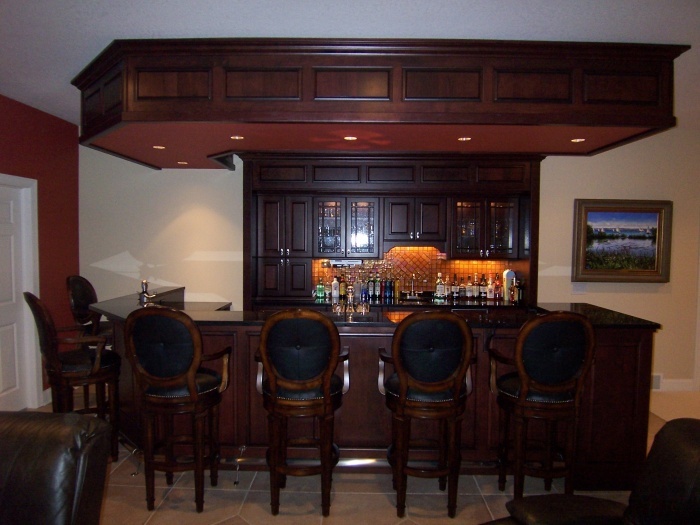 This beautiful cherry wood bar has everything needed to do some major entertaining. 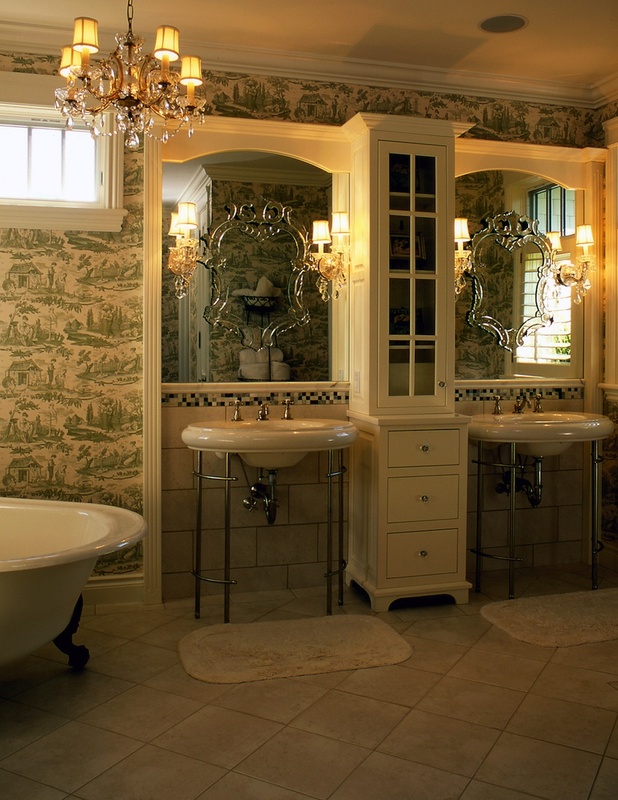 This is a great use of mirrors and the antique style vanities set off this beautiful bath which features framed inset cabinetry done in antique white. 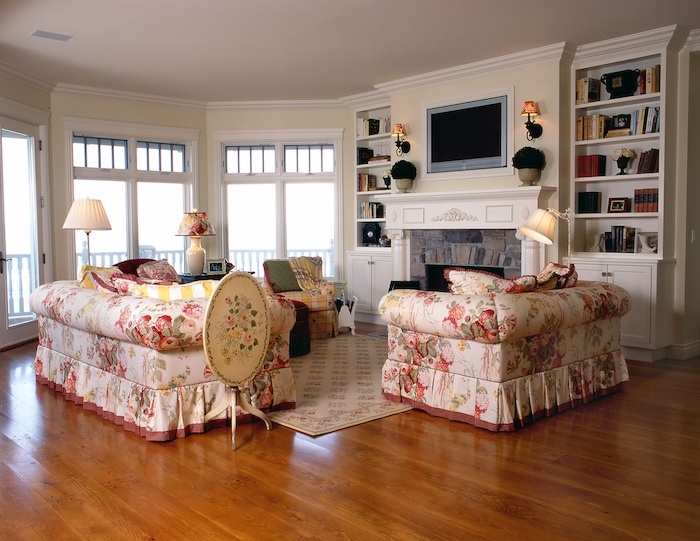 A beautiful living room that features built-ins that don’t overpower the room – perfect!